The Competitor sampling rig and associated tools together form an integrated system, offering an innovative solution to undisturbed soil core sampling, groundwater sampling and monitoring, contaminant logging, window sampling, standard penetration testing and dynamic probing. 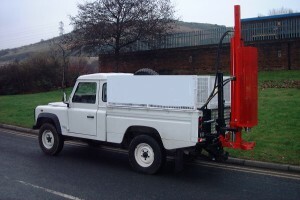 One of the first Competitor sampling rigs was built for the UK Environmental Agency in 1996. In the short time since then, Competitor rigs and tooling systems have become widely used in site investigations and remediation projects throughout the UK and several countries overseas. 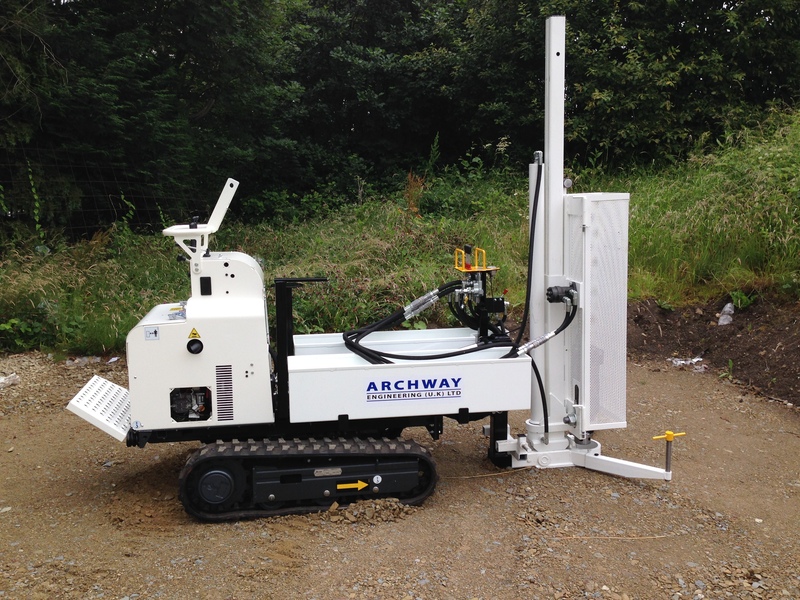 The design and versatility of the system has been continuously improving, culminating in a New Generation of soil rigs, for which Archway Engineering gained recognition in 1998 as winners of a SMART Award for Design and Innovation from the UK Department of Trade and Industry. You will find the Competitor System used in geotechnical investigations, brownfield assessments, property audits, subsidence investigations, hydrogeological studies, and many diverse applications in which access is limited or where the site must be left undisturbed. The Competitor System has been developed with the operator in mind, and delivers clear benefits in terms of ease-of-use, portability, and greater cost-effectiveness when compared to many other ground investigation techniques. The rig features our patented 63.5kg drop weight system. This unique feature allows a string of up to 7 metres of rods to be held by the weight, thereby removing the need for the operator to extract each rod individually. This system has been proven to significantly reduce the time an operator spends on each sample hole. 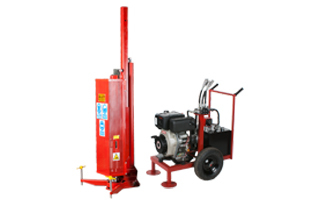 The Standalone version: consists of the upright rig unit together with hydraulic power pack. No trailer or undercarriage is provided. This solution is ideal for those customers wishing to mount the rig on their own vehicle or trailer and is the least expensive option. The mini-tracked heavy-duty rig: consists of the rig mounted on a self-propelled tracked undercarriage. The entire unit can be tracked easily between borehole locations, up gentle slopes and inside buildings with a ride on platform. 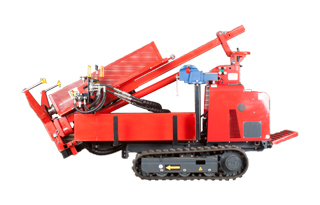 The tracks are expandable and there are hydraulic take-off points to power additional equipment such as hammers or lifting jacks. This rig is the most popular option because of its ease of use and extreme mobility. The Competitor can be provided with Petrol or Diesel Engines and there is an option of electric start or recoil starter on each engine type. Diesel engines can be further provided with spark arrestors and chalwyn valves for use on sites where flammable gases may be encountered. Click here for a heavy duty rig descriptive photograph. The mini-tracked lightweight rig: consists of the rig mounted on a self-propelled tracked undercarriage. The entire unit can be tracked easily between borehole locations, up gentle slopes and inside buildings. 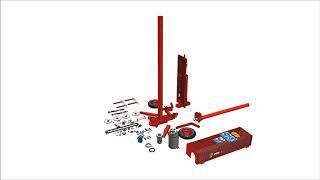 This rig is the lowest weight option for a tracked rig and has good mobility. The Competitor can be provided with Petrol or Diesel Engines and there is an option of electric start or recoil starter on each engine type. Diesel engines can be further provided with spark arrestors and chalwyn valves for use on sites where flammable gases may be encountered. The Standalone rig has been customised to fit on the back of a Landrover. This customisation has been carried out for several customers including mounting the rig on an 8 wheel vehicle for travelling over soft and rough terrains and mounting the rig on a platform for sampling in canals and rivers. 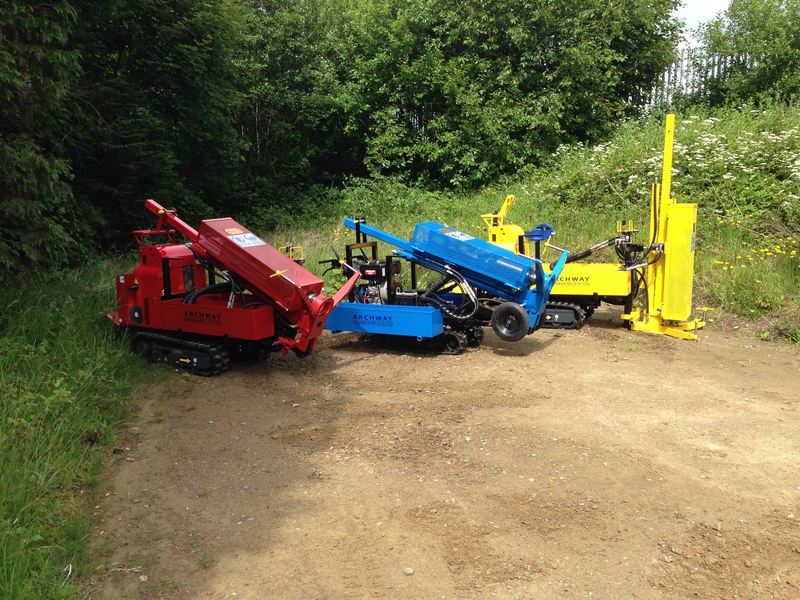 This one off tracked shell and auger rig was designed and manufactured to meet a customer requirement to access limited height areas to carry out percussion drilling. This rig has achieved depths up to 60 metres. 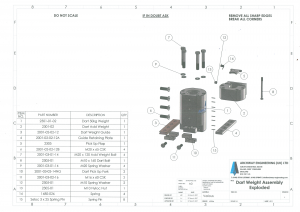 The pile testing rig was designed and manufactured to a customer’s requirement to test instrumented piles by dropping a one ton weight on to a pile under test and using the results to check the integrity of the pile. The rig was designed with the requirements to be towed behind a Landrover so the weight of the rig had to be minimised. 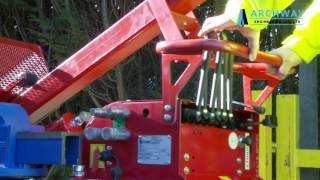 The rig is in regular use in the field and has considerably improved the efficiency of pile testing. Competitor rigs are mechanically simple and easy to operate. 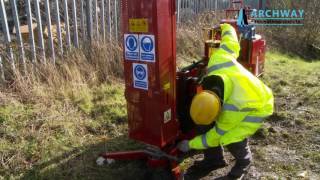 The rigs are designed for use by a single operator and drilling can begin within minutes of arrival on site. Because the units are light in weight, site disturbance is minimised, making the Competitor ideal for use on environmentally-sensitive sites. 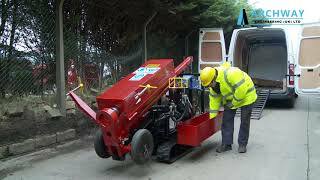 The rigs are highly mobile and maneuverable, they can be tracked up slopes and can pass through a standard domestic doorway. The Competitor is ideal for work on sites with restricted access, close-up against walls and inside buildings, where it would be otherwise be difficult to obtain samples. Sampling is achieved by a percussive method. The drive mechanism consists of a chain-driven drop weight that repeatedly strikes an anvil, driving the rods and sample tubes into the ground. 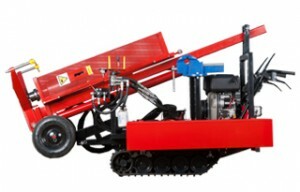 The rig can drive sample tubes into all soil types, but it is not designed for sampling or coring in hard rocks. The weight and the drop height are adjustable, enabling Standard Penetration Tests and Dynamic Probing (Lost Cone) Tests to be carried out as well as soil sampling. 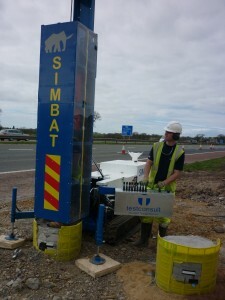 Blow rates up to 50 per minute can be achieved when driving sample tubes into the ground. 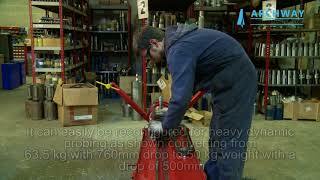 After tools have been driven into the ground to the required depth, they can be easily extracted using the integral hydraulic jack which has a 7-tonne pullback capacity. Extraction of sample tubes is achieved without having to re-position the rig. 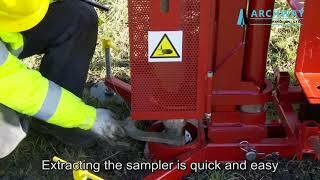 In many situations it is necessary to break through a hard surface prior to sampling or testing the ground. 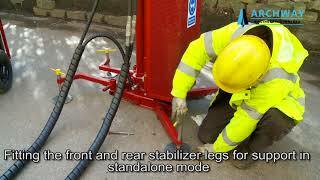 For this purpose the Competitor can be supplied with an optional rotary attachment, designed for coring through concrete or other hard surfaces at ground level. 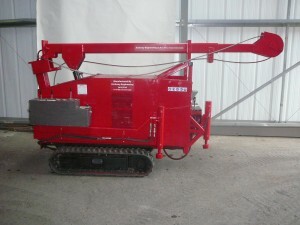 With the rotary attachment fitted to the rig, it is not necessary to purchase additional concrete coring equipment or employ specialist concrete coring contractors, resulting in a significant reduction in project costs. To prevent the borehole from collapsing when extracting samples, casing tubes can be driven into the ground at the same time as the soil samplers. This method, referred to as our Simultaneous Casing System, has been designed specifically for use with the Competitor. As well as preventing collapse of the borehole, the method ensures that there is no cross-contamination between successive samples, even when sampling very loose ground. 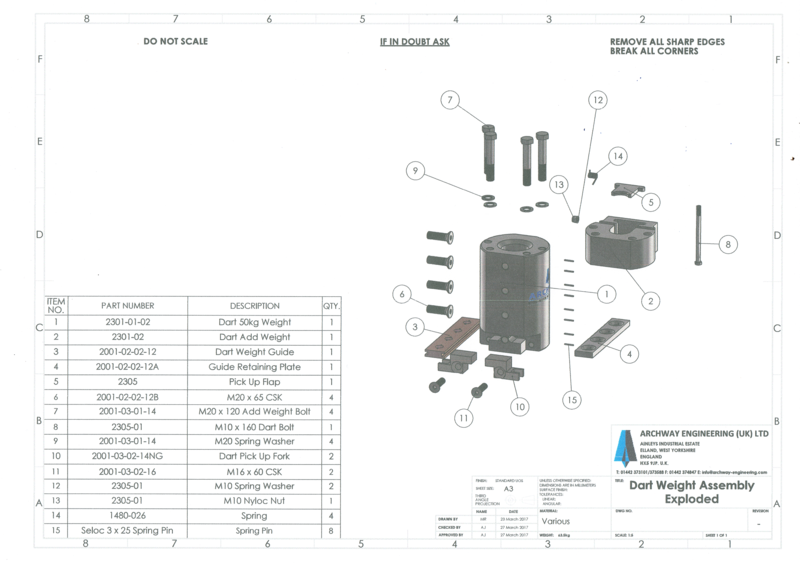 We stock a wide variety of spare parts for the Competitor. 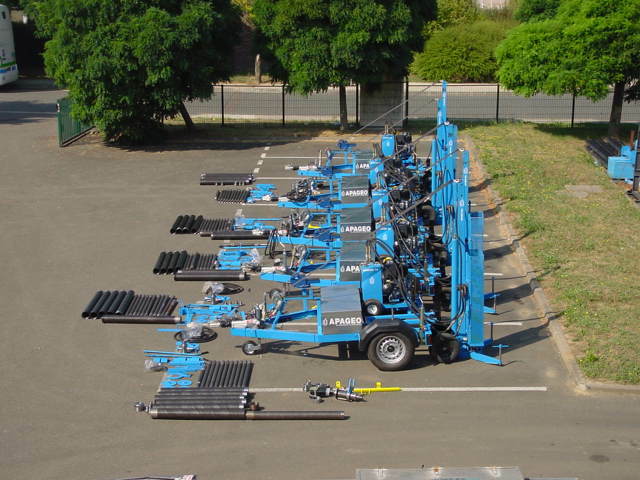 A range of drilling, sampling and test equipment has been specially designed for use with the Competitor Rig. Concrete Coring Attachment: This fits onto the base of the anvil and can be used for coring through concrete or asphalt, prior to sampling the soil beneath. Window and Windowless Samplers are available for soil sampling in a nested range of diameters. In Window Sampling the soil sample is simply removed through a “window” in the side of the steel tube. In Windowless Sampling a complete 1-metre long soil profile is retained in a rigid clear plastic liner. Simultaneous Casing System: Allows 115 mm O.D. 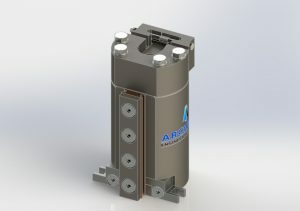 steel casing to be driven into the ground at the same time as a 101 mm Windowless Sampler, thus preventing the borehole from collapsing, and ensuring that there is no risk of cross contamination between successive samples. Generally effective up to 6 metres depth. The equipment consists of steel casing tubes, casing shoe, drive ring and adaptor, drive head, lifting head and casing slips. 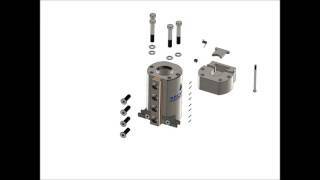 U100 Sampling System: This is a Simultaneous Casing System that allows 128 mm O.D. casing to be driven into the ground at the same time as a U100 sampler. The U100 sampler consists of a drive head and special steel “body tube” that encloses a thin aluminium liner, together with core catcher and cutting shoe. The aluminium liner has an I.D. of 101.6 mm. The aluminium liner fits inside a standard U100 tube, allowing the sample to be extruded using existing Unversal Extruder’s common in U.K. geotechnical laboratories. Sharktooth Sampler: This is a large diameter (115 mm O.D.) split tube sampler, that takes its name from the backward facing “teeth” that allow the two halves of the tube to interlock whilst providing strength during driving. This tool can be used for obtaining soil samples, or simply as a means of rapidly clearing out a borehole. The Sharktooth Sampler fits inside 128 mm OD casing and can be used in conjunction with the U100 Sampling System. S.P.T. Split Spoon Assembly: A standard 2″ Split Spoon Assembly that can be used for the Standard Penetration Test to BS 1377. it comes complete with a top adaptor (containing ball valve) and cutting shoe. Steel basket retainers are available for the sampler when required. A short nose cone with 60 degree angle can be provided in place of a cutting shoe for carrying out test in gravel. Drive Rods: Standard Driving Rods are 54 mm diameter with a male and female “Quick Turn” thread at the ends. 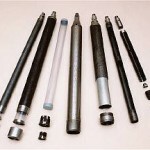 These are extremely tough rods that do not easily break or bend, and can be coupled and uncoupled very quickly. All rods are 1.0 metre long, except for a slightly shorter starter rod used for the first sample at ground level. Dynamic Probe Equipment: Consists of 35 mm drive rods marked at 10 cm intervals, cone adaptor and sacrificial cones. Used for the Dynamic Probe Test (Lost Cone Method) to BS 1377. The rod thread is designed for high strength during driving. The following documents are available free to download in Portable Document Format (PDF). To view and print the files you will need Acrobat Reader installed on your computer. This software is free to download at Adobe’s Web Site. Please note: The information in these documents is provided for guidance purposes only, in order to promote the use of safe working practices and to address the broad principles that should be adopted when operating the rig. It is not intended that these documents should negate or replace any acts, codes, regulations or other documents that have a legal or contractual standing.